and anywhere in the USA. 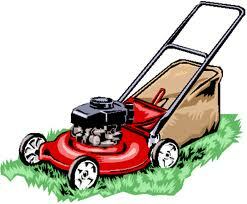 Let us pick up and drop off your lawn mower or riding tractor and bring it to your local repair shop. 10 mile radius from Glen St. Price Chopper for only $40.00 round trip. We will pick up your new gas grill, lawn mower, etc., from any store within a 10 mile radius from the Glen St. Price Chopper and drop it off for only $20.00. LIABILITY AND LOST PRODUCTIVITY: PRICELESS! The Simple Way to Deliver! Ace Courier Express has been a full service courier since 1987. Ace Courier Express services the Tri City, Saratoga, Glens Falls area on a daily basis Monday-Friday. We offer two trips daily from Glens Falls to Saratoga and Albany, Schenectady, Troy. Our first trip leaves Glens Falls at approximately 8:00am, our second trip at approximately 11:00am. We have two trips from Albany, Schenectady, and Troy to Saratoga and Glens Falls. Trip one leaves at approximately 11:00am, our second trip at approximately 3:30pm. We also offer two trips from the Capital District Areas to Plattsburgh leaving Glens Falls at 10:00 am and 4:00 pm, call dispatch for details. We carry anything from documents and packages to very large loads. We provide SPECIAL and RUSH service to virtually any place in the United States as well. Our current rate up to 50lbs. is $32.00 + fuel surcharge. Delivery completion, most times, after trip departure, is within 4 hours. If you would like to see a sales person please contact us for an appointment. We offer many different shipping options. We can conform to any of your shipping needs. We service all areas. Click here for pricing. Thanks for your time, hoping to serve you in the near future.